Lignin is a bulky chain of molecules present in wood and is usually discarded in the biofuel production process. However, in a recent technique developed by EPFL chemists, by just adding formaldehyde to the process, lignin can be changed into the main area of focus. Using more of plant-derived chemicals and biofuels implies the reduced dependence on fossil fuels. However, the main challenge here is the cost-effective production of biomass from organic matter and plants. Generally, biomass is derived from various non-edible plants such as grass, trees and algae, which contain sugars that can ferment and can be converted to fuels. However, biomass contains lignin which is a bulky and complex organic polymer that makes wood and tree barks rigid. As lignin processing is a complex task, it is mostly discarded during biofuel processing. Recently, EPFL scientists have discovered a potential technique to convert lignin into an important source of biofuel. This was done by adding formaldehyde, which is an easily-available chemical, converting approximately 80% of all the lignin into molecules for plastics and biofuel. This patent-pending method research work has the potential to be scaled up to industrial levels, and the results have been published in Science. Lignin is a very complex biopolymer that fills the hard wall around every plant cell. In fact, almost a third of plant biomass is made up of lignin, and lignin’s molecular structure helps to provides almost 30% more energy density than the traditional sugars that are processed into biofuel. One major drawback is that lignin cannot be easily extracted and transformed. Because of this instability, lignin is usually destroyed during extraction process and most of studies have not succeeded in efficiently breaking apart lignin for potential applications into chemicals and fuels. 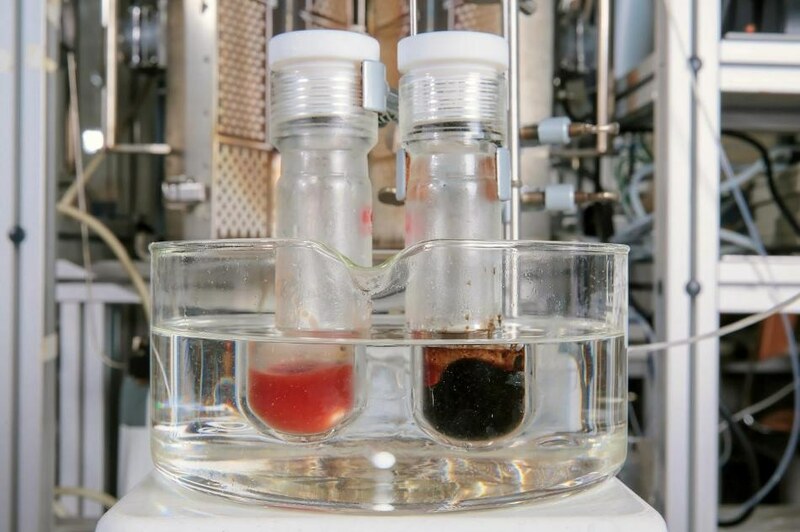 An international team of researchers led by Jeremy Luterbacher at EPFL have now demonstrated that lignin can be easily broken apart by adding chemical formaldehyde to the process. Researchers noticed that formaldehyde can stabilize lignin and can curb its degradation as well. This could possibly lead to high yields of building blocks that can be utilized to generate substitutes for petrochemicals. These yields were found to be 3-7 times more than the yield obtained from lignin that is processed sans formaldehyde. Depending on the wood used we get between 50 and 80%. The chemistry is relatively straightforward; the real challenge is actually finding investors for a pilot facility to demonstrate this. Luterbacher became famous in 2014 for developing a technique for the safe and cheap extraction of sugars from plants (this research work is also published in Science). Because of inconsistent political support and largely varying energy prices, he feels that the sustainable energy market is challenging. Especially because of the well-established fossil fuels and an uncertain market, investors for such innovative platforms hesitate to come forward and take a risk. The technology looks really good. If the global political establishment sent a consistent message about moving away from fossil fuels, then investors would take notice. But I think Switzerland is a great place to get started. The Swiss have been unwavering supporters of clean energy and could help demonstrate new technologies, and so I’m quite optimistic about the future. This research work is a partnership of EPFL’s Institute of Chemical Engineering (ISIC) with the University of Wisconsin-Madison, the US Department of Energy, and Purdue University. The Swiss Competence Center for Energy Research (Biomass for a Swiss Energy Future), the Swiss National Science Foundation, EPFL, the US Department of Energy, Great Lakes Bioenergy Research Center; and Center for Direct Catalytic Conversion of Biomass to Biofuels funded this research project. Based on this work, EPFL has submitted a patent application.